Our $300 gaming PC features the AMD Athlon 860k and energy efficient GTX 750 Ti. When it comes to building a gaming PC, I’m all about getting the best possible performance I can get in 1080p. While some PC enthusiasts are moving on to 1440p and 4k, I’m perfectly happy playing in 1080p and spending more of my money on games. This $300 AMD build aims to provide gamers with a cheap PC build that runs today’s latest games in 1080p and does so in a fairly energy efficient way. The AMD FM2+ platform may be down, but it’s not out. While recent sales of AMD’s FM2+ platform didn’t reach expectations, there’s still a lot of really good reasons to use it if you’re a budget gamer. Recently AMD released the AMD Athlon 860k a budget CPU priced in the realm of rival Intel’s Pentium G3258. With quad-core performance, overclocking potential, and fast base clock speeds it’s a solid alternative to Intel’s anniversary chip. We’ll be using this CPU along with an FM2+ motherboard and dedicated graphics card to give us console-like or better performance for just about the same amount of money that you’d spend on your console. CPU Athlon 860k An alternative would be the Pentium G3258 and MSI H81 mATX motherboard. 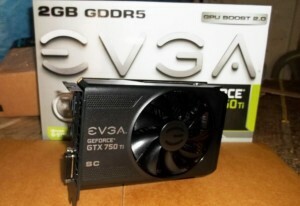 GPU 750 Ti For $50 you could step up to the R7 370 here. Motherboard Gigabyte GA-F2A68HM-HD2 A good quality, but inexpensive motherboard. Lacks USB 3.0 headers. Storage WD 250 GB Caviar Blue Consider upgrading to the 1TB version for $25 more. As I mentioned we’re going with the Athlon 860k here. It was featured in PCper’s Quad-Core Gaming Roundup which tried to solve the age-old question of how much CPU you need for your gaming rig. Simply put, for graphics cards around the $100 price range you won’t gain a lot of frames by going with a really expensive CPU and the Athlon 860k will give you as much performance in 1080p here as an FX 8320 or even an i5 in games tested. I was recently able to find the Gigabyte GA-FD2A68HM-H for $30 after rebate. While the best price for a reasonably good quality FM2+ motherboard today is $39.99 for the Gigabyte GA-F2A68HM-HD2, it’s important to look around in order to save some money here. Keep in mind USB 3.0 headers if you go with a case that has USB 3.0 ports in the front. Try to find a GTX 750 Ti for around $100. While the EVGA GeForce 750Ti is featured in this picture, the Gigabyte Windforce version of this GPU is on sale this month with a $30 rebate. Be sure to look around for the best deal in your area. Here you can with the R7 260X, R7 360, or 750 Ti. My personal preference for both performance and energy efficiency here would be the 750 Ti. Go with the 750 Ti step up $50 to the R9 270X or the slightly better performing R7 370. Thoughts on the 750 Ti: This little GPU is not only a great overclocker, it does very well at modern titles in 1080p. Keep in mind that the FPS numbers above are set in Ultra and Extreme settings and could be lowered slightly for a large pickup in frames. Overall, you’ll be able to handle any modern title by adjusting the settings. For a good example of how the 750 Ti performs in a game like Witcher 3 I recommend Digital Foundry’s Witcher 3 comparison video. Settings could be lowered from here to raise minimum frame rates and eliminate some of the stuttering. For storage, we’re going with a 250GB Western Digital Caviar Blue drive for around $29. If you have an extra $20, it probably makes sense here to upgrade to the 1TB version of this drive for around $50. Otherwise, just keep your favorite games on the drive. Like our $200 Gaming PC build, the Xion mATX case is a great deal here at right around $20. Like the $200 build this motherboard lacks USB 3.0 headers so you’ll want a USB 3.0 to 2.0 cable if you go this direction. 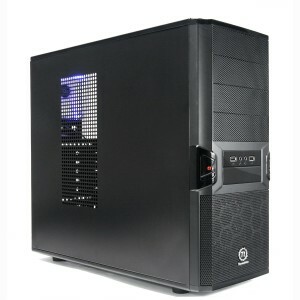 Otherwise, go with the Thermaltake V3 which has USB 2.0 headers. Running your computer costs a lot more than you might think. Even an energy efficient gaming PC can cost upwards of $50 a year to run. For that reason, I highly recommend an 80 PLUS certified power supply for efficiency. Something inexpensive like EVGA’s 430W ATX PSU would be perfect here. The Antec VP-450 would also make for a decent option. There you have it, an AMD PC that competes with consoles for just around $300. Considering that PC games typically cost less than console games, this should be a win-win for gamers everywhere. Benchmarks show that it should be on par with the console; however, if you want to step up from there I’d recommend the i3-4160, a Gigabyte H81 micro ATX board, and an R7 370 for around $100 more. Be sure to leave your thoughts and comments in the open discussion area below.